Brian helped us to purchase our first home and connected us with a number of people we would need help from along the way. Highly recommend! Exceptional realtor! Brian is knowledgeable and very professional. His patience was outstanding as he had shown us numerous houses before we found the one! He has a high level of market knowledge, and offered us good advice in choosing a home best suited for our needs. He has excellent communication skills and kept us in the loop of what was happening throughout the whole process! Would highly recommend Brian and will definitely use him again in the future! This review comes on behalf of two parties; both my parents and myself. From my parents; Brian was an absolute pleasure to work with during all phases of the selling experience. We were shocked at how fast he responded after our initial contact, it was within minutes! Our previous realtor stopped contacting us with updates towards the last three months of our fifteen month term. Not only was Brian professional, efficient and responsive but he was on board with a lot of social business platforms to reach more people. Our previous realtor didn't even bother to update the awful dead winter photos. We would definitely 100% recommend Brian to anyone looking to sell their home. We had it listed with our previous realtor for over a year, and when we changed to Brian - he sold it within two months, not even kidding! He really made it hassle free. Now from myself; while I didn't live there I am very very much into photography and the first thing Brian did was scrapped all the old awful photos from before. Brian's photography really helps show off the beauty of the home, and offers more of an experience of what is inside. Brian takes the extra step during his photographic process to show the detail inside the home and the beautiful outside details; and let me tell you, it's not a 2 second process - he is definitely a very hard worker! Thank you Brian for your swift execution in selling my folks place! Much appreciated! Brian was really helpful and didn't pressure us on anything. He's friendly and courteous, he also takes calls every day of the week, at almost any time of day. He was good at walking us through the home buying process and recommending useful services to us. Thanks again for the help Brian! We just got our keys today to our new home and we have Brian to thank! He was very professional yet personable during the house hunting process. Easy to communicate with and get a hold of. So genuinely interested in finding the right home for the right price. I am not the only one in my family that has used Brian's expertise to find a home. Thank you so very much for all you have done for not only Shawn and I but our whole family! Would recommend him to others who are searching for the right home! Brian recently helped my sister sell her home, and purchase a new one. On the sales end, he provided a significantly higher property valuation estimate than other realtors my sister interviewed; and he then made that valuation come true, with numerous suggestions regarding staging the property for maximum appeal. He also spent considerable time creating some genuinely spectacular photos of both the interior and exterior of the home, using high end professional camera equipment; and he arranged for an aerial video of the outside of the home and neighbourhood, showing the lake and wildlife. The result was an immensely powerful sales presentation, and it resulted in a final sale price of at least $50,000 more than other realtors suggested they might achieve. Once the property was sold, Brian helped my sister find a new property. This involved looking at literally dozens of properties, and an immense time investment on Brians part. At no time did he show any impatience, or try to upsell my sister into a higher value property; instead, he worked diligently to help her find a property that was right for her, at a price she was pleased to pay. That happened, and now my sister is happily relocated into a beautiful home that is just perfect for her. There's no question that she would not have found that perfect home, without Brians endless effort and good will. I've dealt with several realtors in my life, and I can say without reservation that I've never seen such a high degree of professionalism in any realtor. I cannot recommend Brian highly enough, so I shall now stop trying. But I would suggest that, should you need the services of a truly stellar realtor, you give Brian a call. It will likely be the best decision you'll ever make. As first time home buyers we got lucky finding Brian! He was extremely knowledgable walking us through the house buying steps and always shared a lot of great insights. Brian was wonderful with communication, he responded quickly and honestly to our concerns and inquiries, and he had a huge amount of patience as we worked through our first time homebuyer journey. We never felt pressured to purchase with Brian and in the end we love our house and would recommend Brian for anyone looking for a new home! I have recommended Brian to all my friends and family! Brian was my realtor when I was buying my first home, he made it extremely enjoyable and stress free! Not only was he NOT your typical "pushy" realtor, he continued to show me the do's and don'ts of buying a house for the full year and a half I looked- not once telling me to buy something or pushing me to come to a decision. He was always a text or call away and continued to impress me with fast replies and fast easy bookings the entire time. He seemed to always make it his personal goal to make people feel at ease, calm and happy during the whole process and he definitely stayed true to that! I will without a doubt be using Brian for any properties whether it be selling or buying in the future!! Thank you so much for finding us our dream first home and making the process so enjoyable!! Brian was an absolute joy to work with. He was honest, open and treated our family with respect and patience. This was our first 'city' purchase and we really didn't know what to expect. His experience and his client entered approach made this a pleasurable experience. If you want a realtor who respects your purchase as if it was his - Brian is the guy. We will miss our Saturday trips with you! Thank you so much Brian, we appreciated all the help. Brian is a rare combination of someone who is hard working, diligent, and consistent in delivering properties that were in-line with our requests. Thanks Brian! After 8 months of frustration with other sales reps and companies, I signed with Brian and he had my condo sold within 2 weeks. Brian is professional, respectful and realistic; and he knows the St. Albert area and market extremely well. Thank you Brian, this sale has really improved a very stressful time for myself and my family. Brian was very helpful with everything I needed. He was always by his phone if I had any questions, and he worked as hard as he could to have everything done quickly for me. I was very impressed with my experience! We are first time home buyers and we were lucky enough to have found an excellent realtor, Brian Macleod. He helped walk us through all the steps necessary to purchasing a new house and did so with a great deal of patience. As first time home buyers I'm sure that we were exceedingly picky in what we wanted and what we wanted to pay but Brian continued to show patience and never put any pressure on us to purchase a house. He had a great deal of incite in what to look for and what the actual value of a house should be. He answered our calls, texts and emails very quickly and worked around our complicated schedules. We finally managed to find a house we liked and Brian worked hard to get us a price that we were comfortable with. We now have a house. I couldn't recommend him more. Brian is an excellent realtor. His approachable, easy going approach doesn't make you feel any sales pressure. He went above and beyond to not only find us the right property, but ensured all of our questions were answered. Highly recommend him to anyone moving to or within St. Albert. After a lot of frustration trying to find what we wanted for a home in St. Albert through many agents who we needed to sign up to their site to review their listing my wife happened on Brian while attempting to sign on to his site. He noticed her having trouble signing in so he contacted her and helped her get set up. To describe Brian takes several adjectives; FAITHFUL describes the way he attended to sending many listing each week; COMMITTED the way he kept to the needs we described and what he kept questioning how the listing were; FRIENDLY Brian is no stuffed shirt and showed sincere concern about us and our hunt for a home; Dedicated as when the summer was fruitless as far as we were concerned he kept at the quest and 2 days before we were to leave for Vancouver he found what we wanted. THOROUGH is another word in the way he worked long hours to get our deal done. Thanks to the efforts of Brian we will be residents of St Albert in Nov 2016. Where others had failed Brian TENACITY FOUND our home and brought the deal to be. The best trait was that through all the trials and tribulations Brian's sense of humor never waned and helped to make a lot of disappointments more bearable. Thanks Brian your a champ in our books. He found us our first home and gave us some valuable and honest info along the way. If you're looking for a home, you can do no better than have Brian lead the quest! Brian did a fantastic job from start to finish. His marketing experience is a phenomenal attribute that surely helped get our previous home sold in a timely manner, no realtor in St. Albert has a comparable system for marketing your home. On our purchase of a new home, Brian acted swiftly when we hit a snag on a different property and was able to get us a viewing on a home that we loved from the beginning of our search but was no longer accepting viewings. In the end we were so happy that we were able to purchase this home. If it wasn't for Brian's quick action and perseverance we wouldn't be were we are. After moving in, Brian has stayed connected with us to ensure there was no surprises and everything was delivered as promised. Brian always made himself available day or night, phone, text or email for all of our questions and concerns. If you're looking for a realtor who will not put any pressure on you to do something you are not comfortable with, will work his tail off for you and communicate all the nuances with real estate, this is your man. You will have a great experience! I would highly recommend Brian. He was very knowledgeable, organized and professional. He was informative and helpful during the whole process of selling our home. He responded to call and emails very promptly and made everything easy. I will recommend Brian to all of my family and friends. "I was referred to Brian from a friend, and I must say we were very happy with everything Brian did for us, and the sale of our home! Great job and thanks again Brian!!" "While working with Brian looking for our knew home, we felt his commitment to excellence, every question and detail was taken care of in a timely fashion. We soon realized that he had our best interests at heart and what could of been a difficult and confusing process turned out to be a enjoyable experience! Brian’s expertise in this profession was evident in every move he made and every over time hour he put in working for us! The outcome was a positive one and we have Brian to thank for that, we are so happy with our new home!" He worked hard to find us and lock down the house we had dreamed of. He was always prepared for showings and was knowledgeable about property values in the area. About a week ago, we purchased our first home. Brian made us feel comfortable and relaxed during the process. We communicated by text, phone and email and there was never a time we couldn't get a hold of him. He even helped us move a couple heavy objects on our moving day! Overall, Brian was friendly, committed, trustworthy and worked hard. I would recommend him to all looking to sell or to buy a home in St. Albert. "Last summer I had Brian sell my condo for me and locate a house in Edmonton which I purchased with my son. Brian was very honest with me on the decision on the realistic pricing of my condo which resulted in a very fast sale. As well, he was relentless to find me the right house which fit the lifestyle of my family. I am so very pleased with the purchase of my home in north Edmonton, and I could not have picked a better real estate agent to share this journey with. I would highly recommend Brian to anyone for buying or selling a house. You will really appreciate his honesty and dedication to his craft." 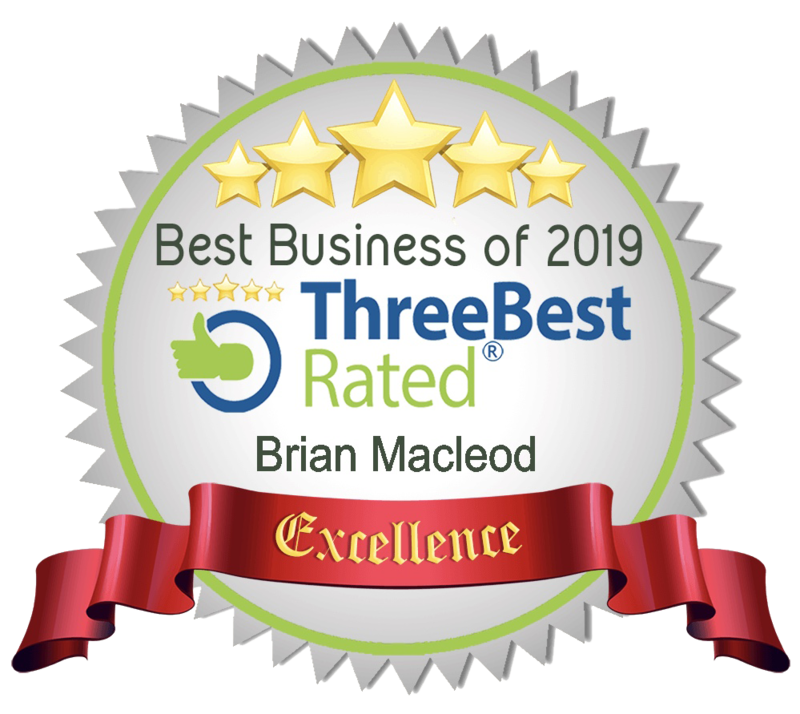 "If you are looking for a real estate agent who is honest, reliable and very easy to work with; you're looking for Brian Macleod". Your attention to detail and words of wisdom were worth gold. Thank you for getting our house sold Brian. Your attention to detail and words of wisdom were worth gold. We listed our acreage with Brian Macleod and were impressed with his suggestions of using an aerial video drone service and professional photographer. This contributed to the sale of our home in two weeks. With Brian's assistance we purchased a bungalow and relocated to St. Albert. Brian is a true professional, has integrity, is a good listener, and followed up immediately on any concern we had. 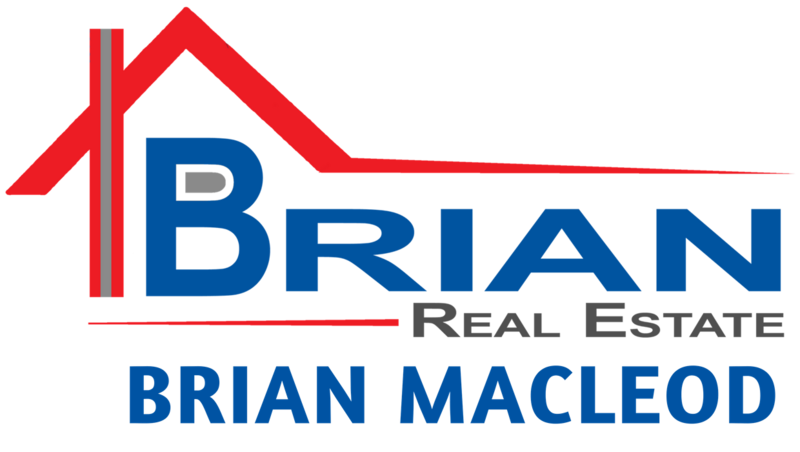 We highly recommend Brian Macleod as your realtor! Brian did an excellent job. He was up front, honest, and patient. Being away from home often and looking for a year, I was always able to call up Brian and he would speedily set up viewings. He would point out condition whether good or poor to give you an idea of future investments and timelines. Over all he took a lot of stress off and found us a wonderful home. Brian's sense of humor and positive attitude make him a realtor we love to deal with. He is very professional with his clients and gives excellent advice. Top Notch in our books! Patient, Personable and Honest. Being a first time home buyer he explained everything to me and made the whole experience very comfortable. Buying my first home was a stress free enjoyable experience thanks to Brian. He was knowledgable and professional exceeding my expectations, I would highly recommend Brian to anyone looking to purchase a home in the St.Albert area. Brian was absolutely great helping us buy our first home! He made it an enjoyable process and listen to all our of questions/concerns. He was not pushy at all and made time for us whenever we called or emailed. Would recommend Brian to anyone! Brian Macleod had been recommended to me by a business associate who had been very impressed in her dealing with him. I must say I was not disappointed. Brian was professional, energetic and patient throughout the stressful process of selling my fathers home. His attitude, work ethic as well as his previous business experience in the marketing field definitely set him apart and I would certainly pass on my personal recommendation without hesitation. His work and dedication to every detail has become legendary! I've had the absolute pleasure of coming to know Brian well over the past few years and from a client perspective, they don't come any better than him! Without fail, every task, many of which never had to be asked for, was well researched, completed and followed up on! His work and dedication to every detail has become legendary! I would highly recommend Brian to any organization / person as a massive asset! Top Qualities: Great Results, Expert, High Integrity. March 16, 2012. I had the pleasure of working with Brian for many years. Brian has great attention to detail and a very comprehensive knowledge of his market. I found Brian to be thoughtful and dedicated with a strong work ethic. Brian would be an enormous asset to anyone who hires him. February 6, 2012. 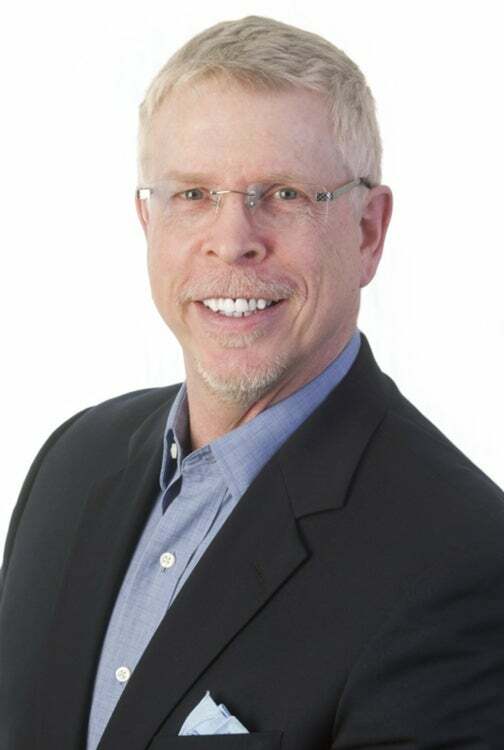 Brian is a conscientious and dedicated marketing professional focused on results. He has earned the admiration and cooperation of his employer, peers and channel partners in Western Canada. It was a pleasure working with Brian Macleod over the past 12 years. Brian is thoroughly knowledgeable and was always pre parted to provide all needed data to help manage our business. Brian keeps his clients goals and objectives a the forefront of his negotiations with his retail partners while skillfully walking the line necessary to be an invaluable resource to his clients. Hearst Magazines as a business greatly benefited from Brian's expertise, dedication, strong work ethic and strategic thinking. February 6, 2012.